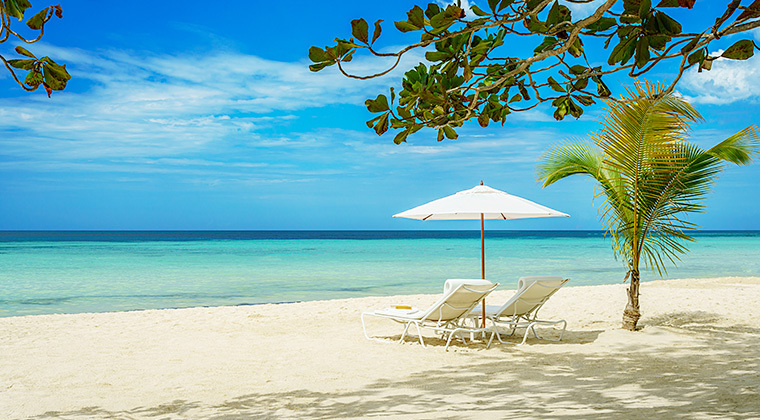 Located on a private 300-foot stretch of shimmering white sand on Negril’s world-famous Seven Mile Beach, Idle Awhile’s The Villas is a small collection of exquisitely appointed, fully staffed villas ranging in size from one to five bedrooms. Surrounded by fragrant tropical gardens and affording breathtaking views of the ocean, each villa sits just steps from the beach, beckoning guests to curl up in a hammock, sunbathe, snorkel or sail in the Caribbean’s warm turquoise waters. The Villas (and its sister resorts, The Beach and The Cliffs) is owned and operated by the Issa family, who made their mark on Jamaica’s hospitality industry with Couples Resorts.